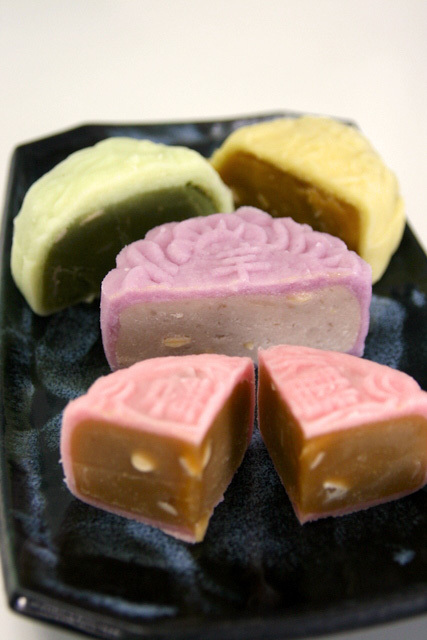 Mid-Autumn Festival is all about sharing the bounty, a time for family togetherness and thankfulness. 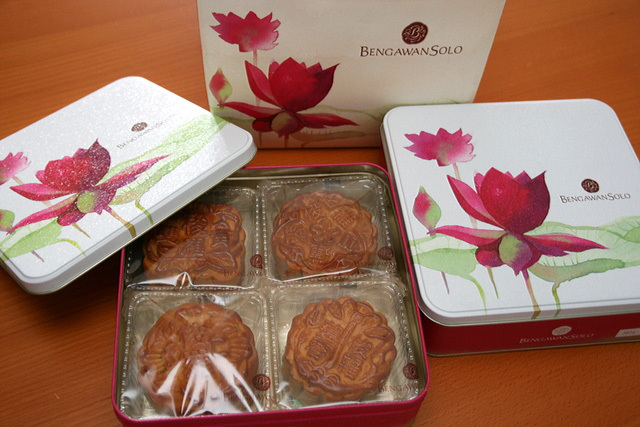 My friend recently gave us a boatload of mooncakes from Bengawan Solo (thanks, Henry!). The kids were over the moon. They can't seem to get enough - despite having tried from at least eight other brands, as you can see from my mooncake roundup. We had orange lin yoong (lotus paste), strawberry skin lin yoong, yam paste, green tea lin yoong, banana skin lin yoong, white lotus paste, pandan lin yoong, and mango lin yoong. The pastes are very smooth and dense, but not oily or overly sweet. I also like the packaging - beautiful lotus blossoms on metal tins and paper bags. They have double yolk lin yoong, mixed nuts, pure lin yoong, low sugar white lotus (which really does taste less sweet, unlike some versions I've tried), durian lin yoong, pandan lin yoong, green tea lin yoong and red bean. I leave you with this picture that's just too cute not to share. It's making its rounds on Facebook. 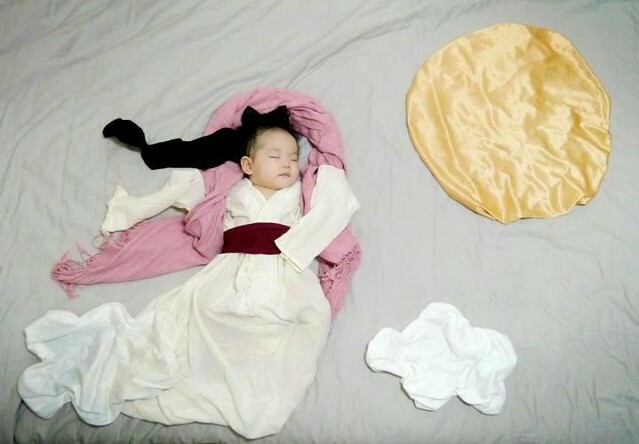 Some mom got really creative with a sleeping baby!